Our Sweet & Sour Cucumbers strike the perfect balance between sweet and tart. We’ve put our extensive pickling expertise to work to create a pickle that tastes great in salads, sandwiches and straight from the jar. 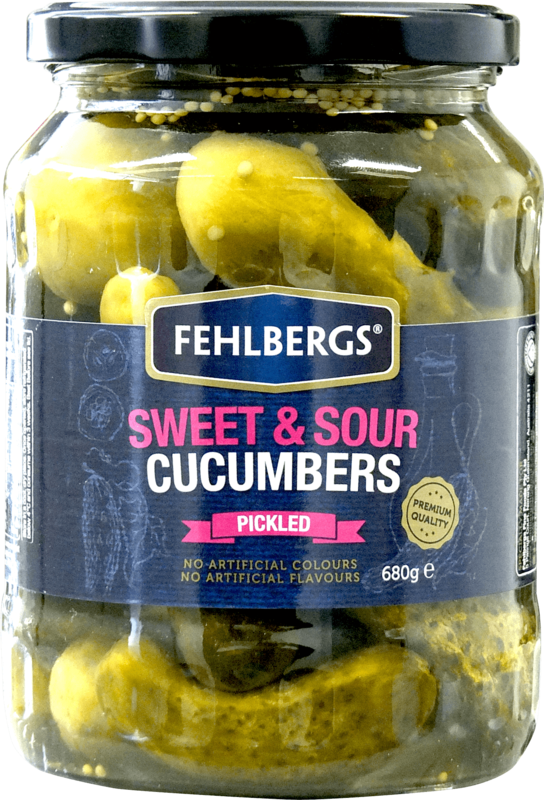 Cucumbers (54%), Water, Sugar, Vinegar, Salt, Acidity Regulator (260), Dill Seeds, Mustard Seeds, Firming Agent (509), Natural Flavour.